Vice President Joe Biden chose the University of Delaware earlier this year as the institution at which to open the new Biden Domestic Policy Institute. We sat down with the Center’s managing director, Mike Donilon, to discuss the launch of the Institute, its plans and what they hope for as the Institute contributes to public service practice and research. Earlier this year, the University of Delaware launched the Biden Domestic Policy Institute. Tell us about how the School of Public Policy and Administration became its home. It was a natural fit. Vice President Biden has long said that Delaware—and the University of Delaware—is written on his heart. So, when he was thinking about what he wanted to do after leaving office, he knew he wanted to continue his life’s work. And, he wanted to make sure those issues he held most dear to his heart—issues like violence against women and civil liberties and economic opportunity for the middle class—would continue to be explored at the University of Delaware. Vice President Biden’s public service values reflect progressive policy issues, including social justice, strengthening the middle class, environmental sustainability and health care reform. How will the institute’s work reflect those values? What will be its primary areas of focus moving forward? The animating spirit of the Biden Institute is the honesty and passion the vice president brought to public service and the public debate. The guideposts are the issues he cared most about. So, we will continue to focus on those issues to which he has dedicated his life: economic opportunity, civil liberties, civil rights, human rights, the environment, health care and our democracy. What level of involvement is Vice President Biden expected to have in the institute’s work? If you know anything about the vice president, you know that he does not commit to anything halfheartedly. If his name is on it, he will be fully engaged. And, he is. He is fully involved in the discussions and planning we have been having, he is reaching out to many of the most important leaders and voices with whom he has worked, and he has already committed to work alongside a number of groups and programs at the university. As he said at the “Biden’s Back” event with the students, he is going to be on campus—so do not run the other way when you see him. What will be the institute’s impact on the School of Public Policy and Administration, in terms of student enrollment, curriculum and research focus? 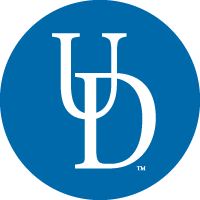 What does UD hope its impact will be on the broader university community? We hope it will be threefold. First, the vice president hopes to inspire this generation of young people to get engaged in public service, just as he was inspired to get engaged when he was a student at the University of Delaware. Second, we hope to be engaged in the kind of research and study that leads to new policies addressing some of the most difficult issues we are facing. And, third, we hope to work together with the great talent at the University—faculty, graduate students and undergrads—to advance the already incredible work being done on the most important domestic issues in the country. What are the institute’s short- and long-term goals? What role does it see partnerships—academic institutions, public service organizations or governments—playing to advance its work across policy lines? Our short-term and long-term goals are really the same: We hope to be heard, and to make a difference, in solving the most pressing problems facing the nation. We want to provide policy-based answers to the big public debates. So, we will look to partner with other institutions and organizations. But, most important, we want to be part of a School of Public Policy and Administration that is recognized as one of the very best, if not the best, in the nation.